Nice and snappy title there, not. However I do have to say that this moisturiser is the BOMB. I never, ever would’ve thought that I would like an oily product for my skin, having such naturally oily skin anyway. First of all, I’ll say that this smells DIVINE. I won’t go into describing the scent, because I don’t think that really ever works, however if you do one thing this week, go into The Body Shop and smell this line of products! 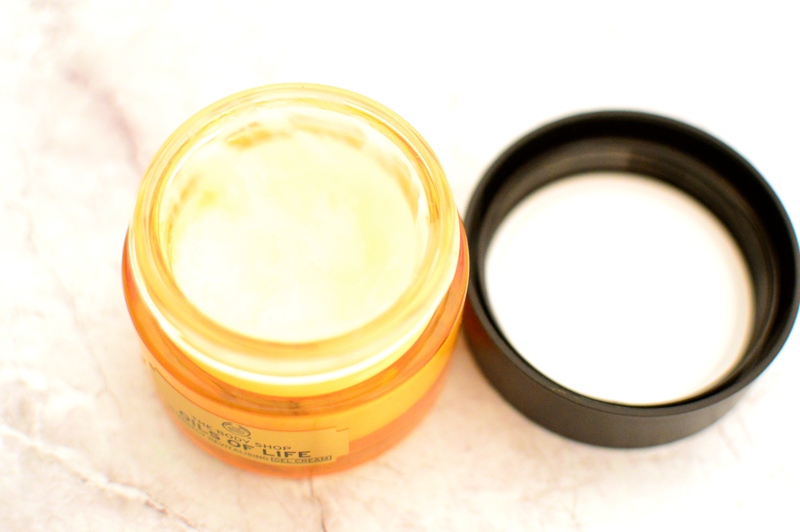 I’d been wanting to try the moisturiser from this range for a little while now, and in the end I decided on the ‘gel cream’ version, as the consistency was slightly lighter and more fitting to my oily skin. One of the worries I had was that this would make my skin totally oily and repulsive to apply makeup onto, but the opposite is actually true. With a very slight ‘pearly’ sheen, the moisturiser is very glowy, without being oily, and definitely makes my makeup-free skin look refreshed. Makeup looks great on top of this, I still have a matte face when I’ve used this, I don’t notice a difference with my face becoming any oilier throughout the day or anything like that. The packaging is great, it feels like a luxury item, a heavy glass jar – although impossible to travel with. 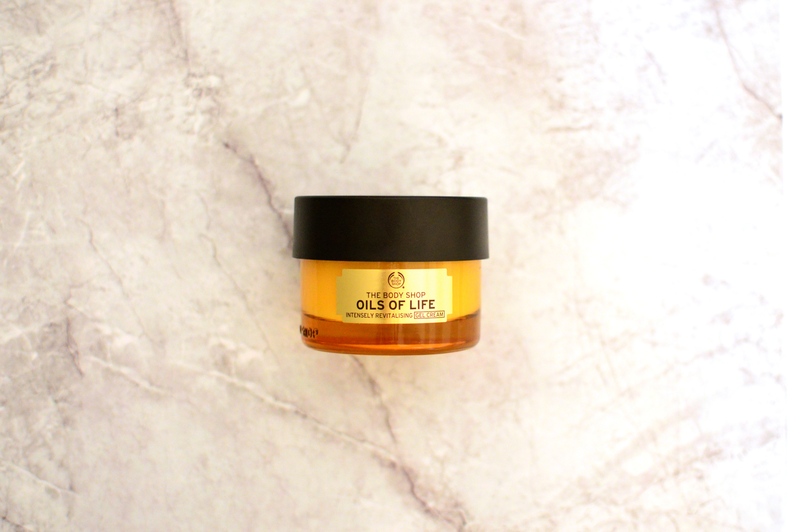 Priced slightly higher than the other ranges, the Oils of Life range is priced from £15-£45, with this moisturiser priced at £25. Overall I really like this product and I would highly recommend it to anyone with similar skin traits to me. If you are oily/combination, like to have a glow but not shiny/oily, like to feel moisturised but not slick, then this might just be your next favourite moisturiser. Definitely worth the £25 price tag, and i would definitely purchase again! 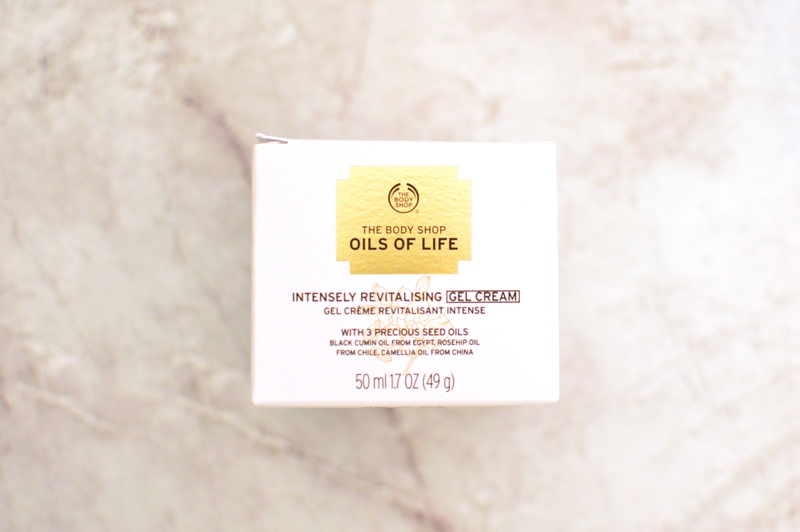 A couple of weeks ago The Body Shop were doing a deal on their website for £30 off a £60 spend and, as someone that easily falls for this marketing nonsense, I talked my mum into buying some products with me to soften the blow (a tiny bit). 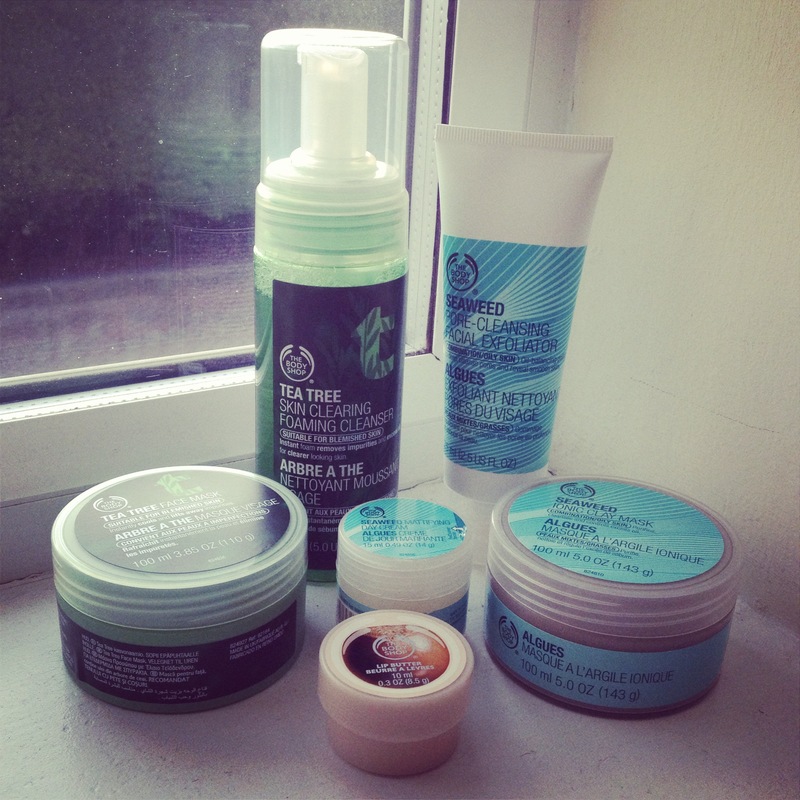 Now, first off, I wouldn’t have even gone on The Body Shop website if it hadn’t have been for EssieButton on YouTube who recently posted a video of her Body Shop haul, but she’s always just so honest and true with her reviewing that I decided to browse… Totally without the intention of spending, but hey-ho, they had an offer! I have oily-combination skin that is prone to acne on my chin and neck which I absolutely HATE with a passion. I have tried tons and tons and TONS of producs to try and help but nothing seems to work. I bought the Tea Tree Skin Clearing Foaming Cleanser, I’ve used it a few times, both morning and night, and it leaves my skin feeling refreshed and smooth, the only downside to it is that I personally HATE the smell of tea tree, my mum loves it and says that for her it’s the cleanest smell out there, but I can’t stand it! But it won’t stop me using the product as I feel like my skin has had a complete refresh. However, I have used the Seaweed Ionic Clay Mask and I noticed a huuuuge difference in my skin after using it. As you put the mask on and let it dry you can (kind of grossly) see all the pores and impurities literally lifting through the mask! I left it on for about 10-15 minutes and when I washed it off, my skin felt so beautifully smooth and my pores were visibly reduced, I would go as far to say that I don’t even know if I’ve ever seen my skin look as good as it did when I removed this face mask. I love this product! The Seaweed Pore-Cleansing Facial Exfoliator is another product from the seaweed range that I would definitely re-purchase, it smells divine (like all of the seaweed products by The Body Shop, they all just smell so fresh and clean) and it’s an exfoliator that’s not too rough that it leaves your skin raw after washing it off, but it definitely gets rid of the stuff you want it to get rid of. It leaves my skin feeling super-soft and I love it! The other product from the seaweed range that I purchased was the Seaweed Mattifying Day Cream and while I really feel like it puts life back into my skin after it has been cleansed, scrubbed and exfoliated, I don’t think it does much on the mattifying front. Perhaps that is just due to my considerably oily skin type, but I didn’t notice a difference in the amount of time my skin stayed oil-free for. I would however consider buying the Seaweed Mattifying Moisture Lotion SPF 15 because this does seem to have the added bonus of SPF coverage. The last product I bought was the Shea Lip Butter and I really love this! Although my face is extremely oily, my lips have always been on the other end of the spectrum at super dry. Everyday I will use a balm or butter on my lips underneath my lipstick to keep them hydrated and to avoid (as much as I can) that awful dry, cracked effect that your lipstick clings to leaving it patchy and weird-looking. I also find that some lip balms make your lips even more dry. This lip butter however really works! I can wear it by itself or underneath a lipstick or gloss. The only thing is that it doesn’t have an SPF in it which makes me a little crazy, I hope they reconsider this because involving an SPF in this “situation” would give this product full marks! Overall, I have been extremely impressed with my purchases from The Body Shop, I haven’t really been as impressed with the Tea Tree Face Mask as I would’ve liked, but I will continue to use it as my opinion may change! However I will definitely head back and buy more from the seaweed range as I can’t seem to say enough good things about it! I hope this hasn’t been too much of a long-winded and overly-boring blog post, I just wanted to say everything that I wanted to say about these products in one place!